First of all, a big “welcome” to my new follows and readers. I am really glad you are here and look forward to hearing from you. If you like what you read, feel free to leave a comment, or share it with your friends. I appreciate it a lot! 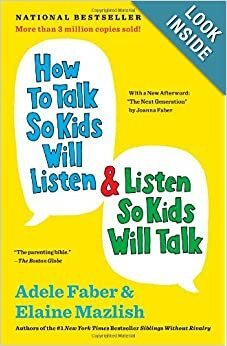 or have read this post on A Cup Of Jo, where Jenny and Andy are sharing their tips to get your kids to talk at dinner table. As usual, the post was fun and engaging, I just had a hard time relating. For us, getting the kids to talk is not a problem; getting them to have a productive conversation, however, is sometimes a work in progress. Talking to the kids/having the kids talk to us is an ongoing theme in our house. We now have four children in various stages of conversation skills. It has always been my priority to have communication channels open with them, because this is one of the main tools in my parenting work! I think that is why the post on “A Cup of Jo” did not ring a bell with me: kids talking or not talking at dinner table is a litmus paper test of how well those communication channels are working, but not a goal in itself. If dinner conversations are consistently lacking, it is my clue that the communication channels are broken and I need to repair them– most likely outside the dinner table. 1. When the subject of the conversation is boring: my 7 year old rarely has anything to share about her school day unless we are talking about recess. Which is her favorite class, so I get a detailed account of that any time I ask. What works: very specific questions about fragments of their day. For example, instead of asking “what did you do in Math today?” I now ask “Did you do three digit addition today? Did you work in groups or individually?” This usually leads to a more detailed account of the day. But she does need a very specific push. 2. When they have so much to say, they don’t know where to begin: “And I was the first to finish sprinting”, makes perfect sense to my 10-year old. But sends me into a frantic “fill-in-the-gaps” mode (hmm, must be a PE activity). I want to respond but I have no slightest idea what the heck he is talking about. So I’d produce a generic “Good job!” while both of us could have done better. What works: encouraging kids to start with an “outside layer” and move inwards. Start with a background info, a big picture–then fill in details. For example, give him a “template” to start his story: “In our PE class today we were doing sprinting exercise which is running back and forth across the gym. I was the first to finish”. Now my response of “Good job, that’s really awesome!” is completely heart-felt. A much more meaningful exchange, don’t you agree? 3. When there is silence during dinner: there is a pause, a break in conversation (when it is more than a pause, the communication channels need repair). What works: accepting it as normal. There is nothing wrong with having a short pause in a conversation here and there. It is healthy to be comfortable with a few seconds of silence and focus on that internal thought. I don’t want the kids grow up thinking that any silent moment in their life has to be filled with words– it leads to meaningless chatter. 4. “Poop on poop” jokes . I am well aware that bodily functions make for the best, most hilarious jokes a kid can possibly come up with, and the competition in producing the most original material is never ending. What works: Encouraging the kids to channel their humor in a more socially appropriate format. I don’t find bodily function related jokes funny, at the dinner table or not, and I make it clear to the kids (it’s a personal thing). Luckily, they seem to have an unlimited supply of “non-poop” jokes, so the laughing part of the conversation has not been jeopardized. I would love to add more tips to my list. Please share what worked for you and your kids! For some reason my kids all like to really share. 🙂 So one thing we have implemented is using a dice to roll for us to take turns in sharing about our days. It helps for the others to work on their active listening!